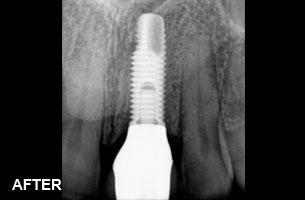 Below are case studies for Dental Implant procedures performed by our office. 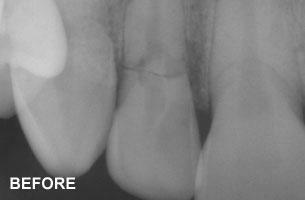 This is a classic example of a tooth that was initially injured during a fall when the patient was a child. 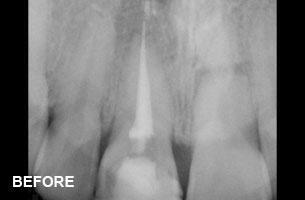 After multiple root canals and crowns over many years, the tooth finally failed and needed to be removed. 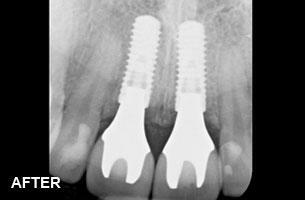 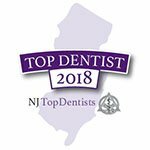 An implant was placed at the same time that the tooth was removed and a temporary crown was immediately placed by the patients dentist on the same day. 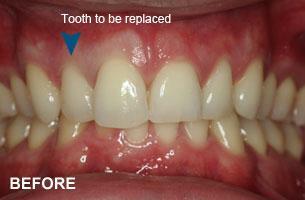 The final, permanent crown was placed 3 months later. 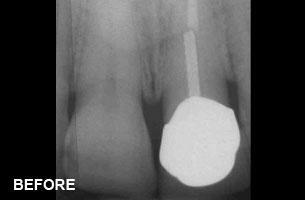 This case shows a cracked root in the "Before X-ray". 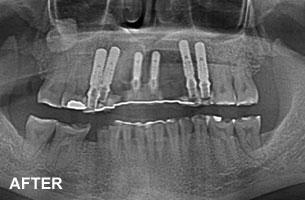 The fractured root was removed and replaced with a dental implant, and a single crown was attached to the implant by the patients restorative dentist. 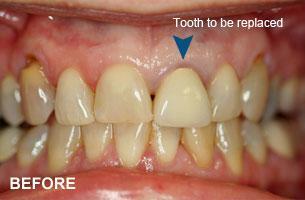 Note not only the perfectly matching colors of the replacement tooth, but the complete maintenance of the the gum contours. 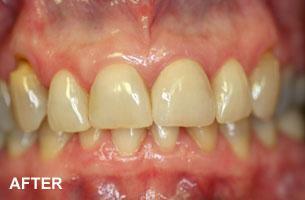 This is a case where the patient had damaged her two front teeth in a car accident. 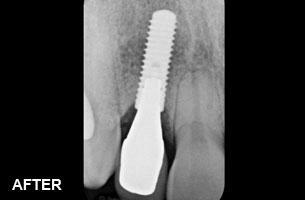 The roots were fractured and they needed to be removed. 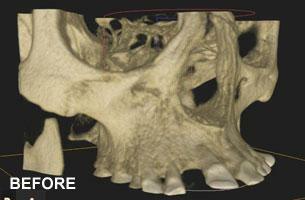 We removed both teeth and placed dental implants along with bone grafts. 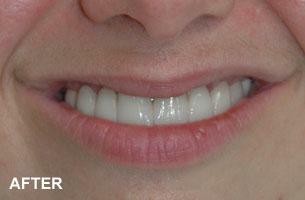 The implants were then beautifully restored with natural looking crowns by her regular dentist. 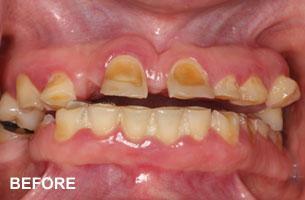 This is an extreme case that shows severely damaged and loose teeth that prevented the patient from being able to eat properly. 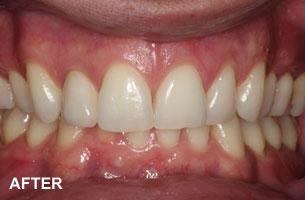 Most of her teeth were removed, and dental implants placed at the same time, along with the placement of a non-removable temporary bridge. 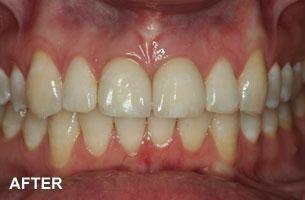 The final result is a very esthetic, permanent bridge that allows to patient to eat anything she wants. 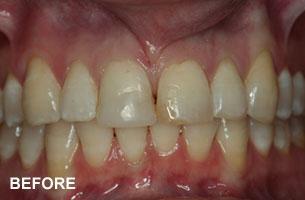 There were hugs and tears of joy from a very appreciative patient when this case was finished!